We've used the interior side of this fabric...on the outside! The cuffs and neckline have this added element, showing the exaggerated loop detail of the french terry fabric. 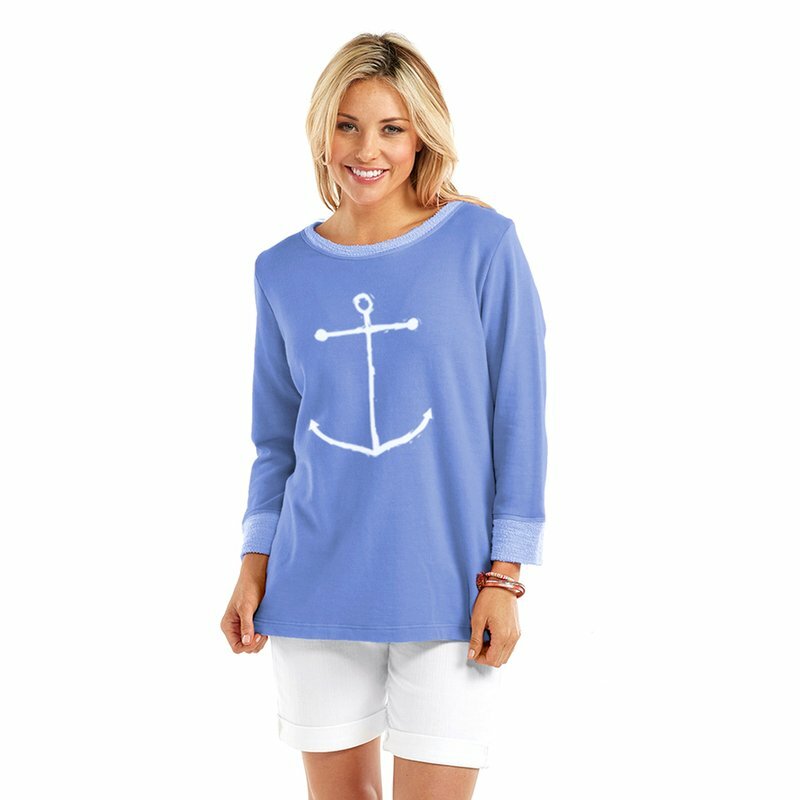 This sweatshirt will have you feeling like you're relaxed on a beach with its cozy feel and anchor screen-print.